3 Beds 3 Baths 1 Partial Bath 1,514 Sq. ft. LOCATION & MODEL PERFECT! 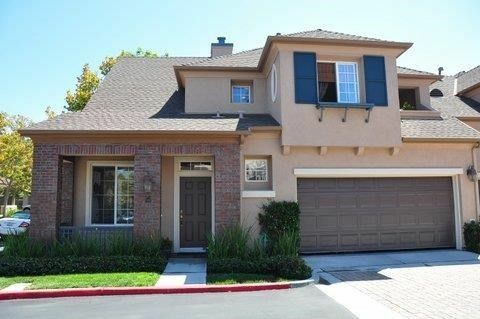 Move in Ready this Beautiful LADERA RANCH 3 Bedroom 2.5 Ba home is located on a CORNER LOT & has been HIGHLY UPGRADED thru-out! From the slate flooring entry enjoy the formal living room w/Fireplace & Dining room w/Recessed lighting, Crown Molding & new wood blinds. Enter into the kitchen w/upgraded QUARTZ counters, STAINLESS STEEL appliances & sink w/new faucet, breakfast bar overlooking the Family Room w/recessed light, direct access to garage & large entertaining backyard. Lighting & Stone Border Planters surround the Herringbone Wood Deck to relax on w/place for bar-b-que and dining table to entertain friends as well as custom tiled back patio & front yard porch. Upstairs boast a Master Suite with Ceiling Fan, Walk-in Closet and Separate Bathroom w/New Fixtures, Sinks & Quartz counters. 2 Secondary Bedrooms w/Bamboo Flooring & Walk in closet and Balcony in one & the other currently used as an office. Hall Bathroom w/Newer Tile & Inlaid border. Upstairs Laundry Room Area. Backyard offers direct access to Garage wi/new acrylic floor paint, shelving & cabinets for storage, newer texture & paint on walls & newer heavy duty garage opener. Close to shopping and freeways. Enjoy the amenities of the Ladera Ranch Community!